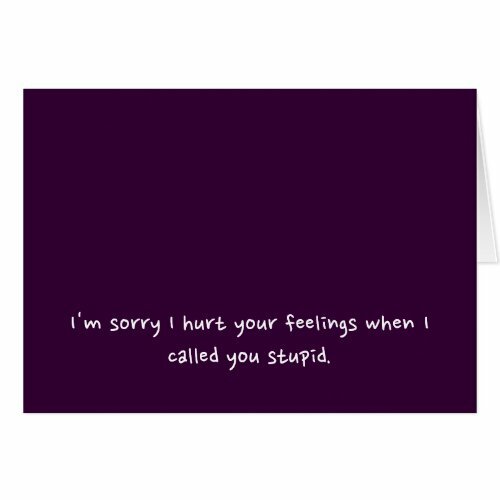 I'm sorry I hurt your feelings when I called you stupid.. 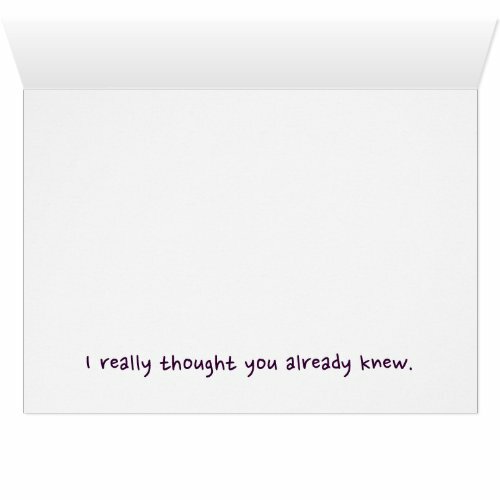 ..I really thought you already knew. An innocent, sincere, honest, heartfelt apology, that's unintentionally funny, cruel, and mean. But hey you cant control everything - unintended consequences are not in your control, and its the thought that counts. So go ahead, whenever the situation warrants, send this card. And I'm sure the person will understand, accept your apology, appreciate your honesty and your reaching out to him/her. Its all good, go for it! Featured here on a custom note card.